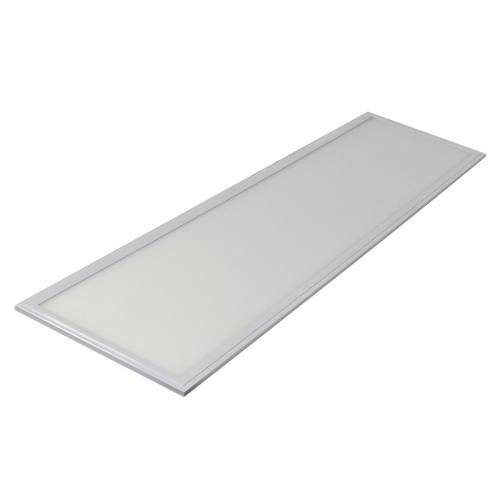 The ultra-thin, edge-lit LED panel (10-LEDPNL-40W) series is designed to deilver general ambient lighting in a variety of indoor settings, including schools, offices, hospitals and stores, and is the perfect choice for both new construction and retrofits. This high-efficacy luminaire provides long-life and uniform illumination, as well as standard 0-10 vdc dimming capability. • Available in 3000k, 3500k, 4000k and 5000k color temperatures. • Uniform illumination with no visible LED pixilation. • Total harmonic distortion < 20% • Color rendering index > 80. • Acrylic lens with light guide panels for optimal light distribution and efficiency. 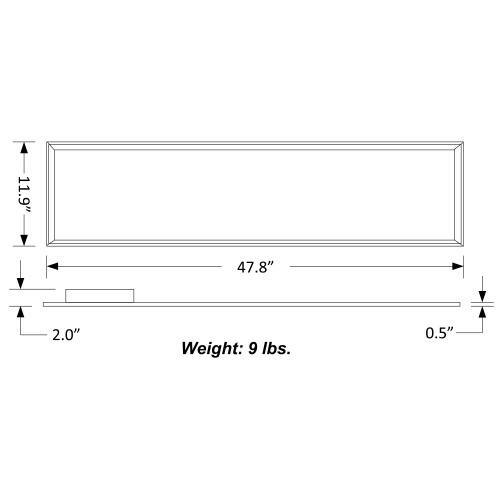 • Standard mounting options include recessed mounting in grid ceilings, or suspended mounting using attached hanging brackets. Optional surface mounting requires a surface mounting kit (option 10-LEDPNL1x4-SMK). **L70 hours are IES TM-21-11 calculated hours. • ETL listed to applicable U.L. standards for damp locations and insulated ceilings (IC-rated). Suitable for ambient temperatures from -25°C to 45°C (-13°F to 113°F). • Complies with RoHS (Restriction on Hazardous Substances) requirements. • Complies with FCC Part 15.